Life has just been so bloody complicated recently. this has resulted in my having to put what should ideally be at least two blog posts into one. Hopefully the skill and quality of the writing will easily brush over any cracks that the hastiness of this verbal cobbling caused. First of all the podcast and it’s all important track listing. The opening track by Derek Ashong and Soulfege was submitted for inclusion via the link on here and therefore it’s now online, a good track too and if you follow the link to his website you can find out how get a full album for absolutely nothing, completely free and take part of his mission to give away ONE MILLION free albums on download. Small festivals are the best. Keep your Glastonbury (much as I’d love a gig there), T in the Park, V Festival et al. If you want to understand what a festival really is all about then go to something with no more than a couple of thousand people, less than that if possible. It really a case of “less is more”. There is a real joy on arrival at a festival site to recognize just about every face and over the years get to know more of them by name. I think I’ve already written here my thoughts that festivals are a temporary village, a community of fellow travellers through life. Some of which you meet at more than one event, which strengthens the sense of a community. As a festival goer you become a member of more than one tribe and family in this greater community. One family I particularly enjoy being a part of are the Stainsbys, and last weekend was a perfect example of spending time with your family at one of the best la’al festivals there is. At 45 years old Stainsby is truly one of the grandfathers of all festivals (or should that be grandmothers, there’s a question for another time. What gender are festivals?). Friday saw Karen and I arrive in classic Stainsby weather really f$&%*&£ hot! 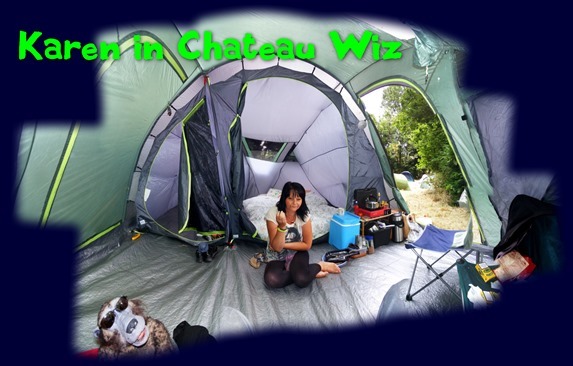 The new tent went up like a dream and we were enpalaced for the weekend. Before I knew it I was up onsite for my five o’clock story session, then fed and a little drink taken it was soon time for the first open mic session of the two I was to host. …time being what it is an express train whizzing past before you’ve got things done and when you get the chance (like now) you find you’ve lost the bits of paper with everyones name on so I can’t remember everybody now in order so I’ll to do some “honourable mentions”. Brian Loderman, Patch Kelly (A name to watch), Anna, Phil and Simon (who in their other incarnation Sea Monster Eyes are I think going places. I can’t pass a mention for my good friend Paul Pearson who just keeps getting better with each passing year. A huge apology to those whose names time has erased from my memory. Young Natalia stole the show for me though, to have confidence to stand before a beery festival audience and sing unaccompanied. a star in the making. 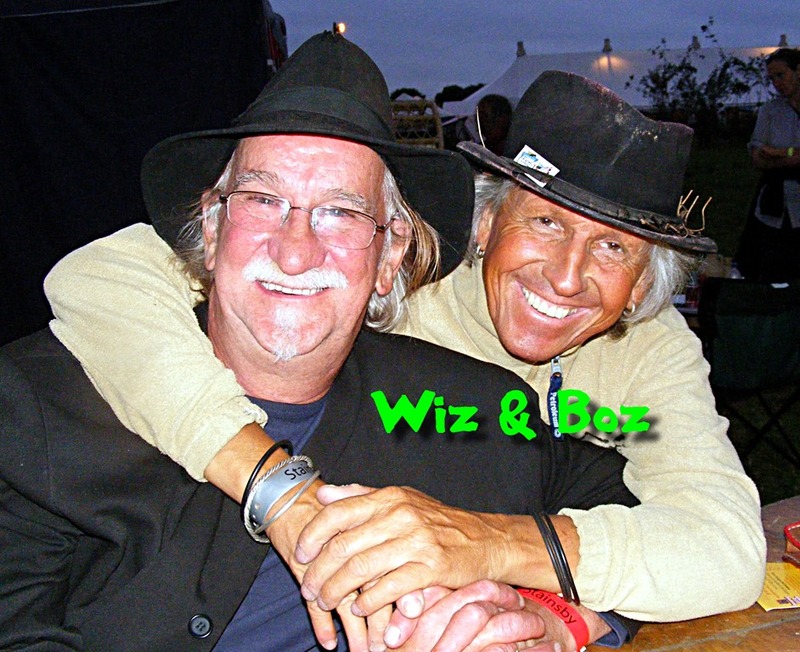 The quintessential festival ambience filled the air at Stainsby; good company and conversation, warm sunshine, music and laughter, good real ale, the aromas of burger and newly blown grass engendering such a feeling of well being as Stainsby always does. This festival like all has been through some tough times and kudos to the team that put it together that they have met the challenges head on and made it work. A new emphasis on the youth of the festival while still keeping hold of the core values and roots music have brought this beautiful event into amazingly its forty fifth year. It is wonderful when you realise that three generations have grown up with this festival, and that the children of the original team are the ones doing the work now and some of their children are now performing and working there too. I am proud and honoured to be a part of this. Another honour bestowed on me here was being asked to judge the final of the singing competition. Though it is with some trepidation that I accepted as the last time I was in the position of judging it was for a Halloween fancy dress and pumpkin carving contest where the entrants were no older than six with ferocious mothers. But this contest was a joy all four finalists being worthy of their place. Calum Read being a very worthy winner, a young and extremely competent performer who though tired (he was stewarding in the early hours) and nervous he sang “What You Mean To Me” the first song he’d written. 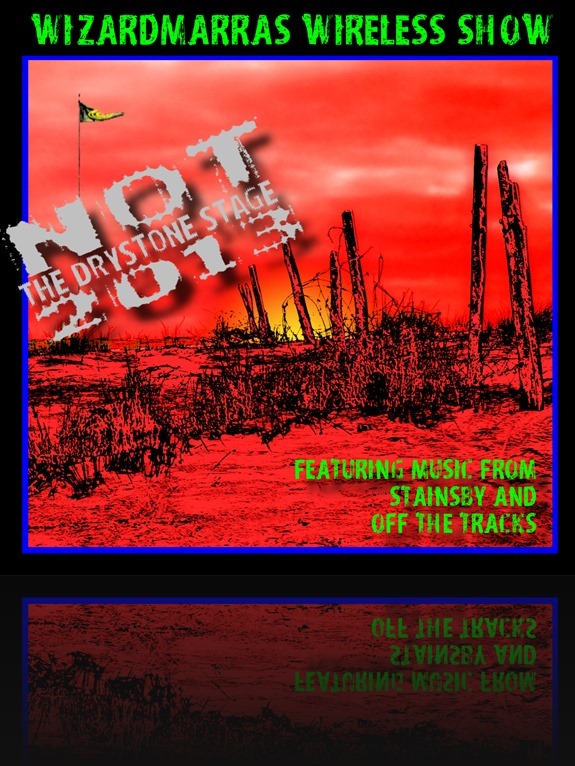 a damn fine tune too as you can hear on the podcast. One of the downsides to working a festival is you can’t always get to see anything yourself so I missed Merry Hell, again! Your Average Savages were good on the Saturday evening and I’m happy to say like Tiger Factory (See “Who Needs A Pyramid? 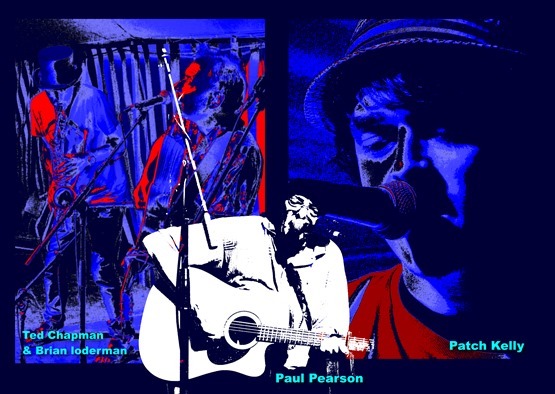 “When you have a Melodrome or a Barn)) another band with a member who is the son of a musician and one of Stainsbys leading lights Jake Bradnock made his Dad Ben Dalglish proud, known to Stainsby goers as the main stage MC and of course part of the powerhouse that is The Loscoe State Opera. Another delight was to see Jolly Jock there, represented on the podcast by Biggles Wartime Band of which he is the thrusting dynamic frontman, always ready to dive into the mosh pit and dally with the multitude of adoring groupies. Jock is Rock, and it’s hard to think of a funnier rock star. I had the pleasure of introducing the Band at last Septembers OTT and Jock as a solo artiste there in May. Of course there was storytelling too, which was “interesting” but I’ll not dwell on that, but big love and thanks to all my lovely Stainsby fans who come to see me every year. You know who you are and I believe there are places you can go to to get help. Bluesmonkey also had his trip around the site and caused the usual mayhem. All in all a grand weekend. There’s also a story from me there to sit and listen to while you sit in front of the virtual drystone stage. Well that’s just about the end as I write this in dead of night, five miles away Solfest too has ended. Finally a word about the final track “Johnny Can’t Dance”, performed as a session held at the wake for the Father of my old friend from my days at W.S.C.A.D. Mike Murphy*. He posted the video of this a day or two after the death of my Father in Law, Leslie Dalton and it’s here as my goodbye to this lovely man who loved his daughter without any other agenda. He’ll be missed by me for being the nearest thing I’ve had to a Father figure though he was only my Sisters age. * You can check out Mikes brilliant podcast BigMikeyDread ReggaeRadio bellieve me it’s well worth the time. 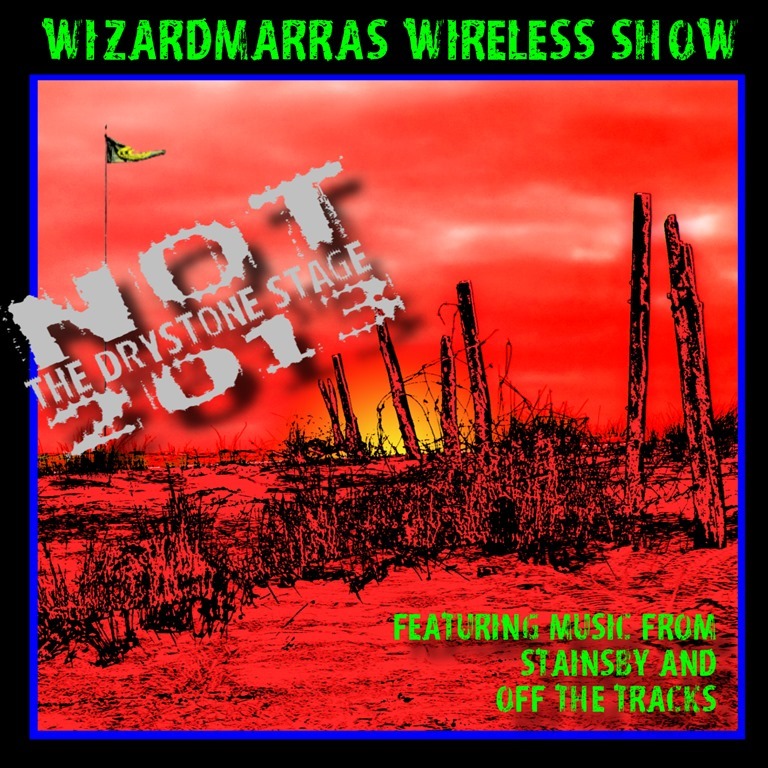 This entry was posted in Best New Musicians & Great Music Videos, The Wizardmarra's Wireless Show Podcasts and tagged Best New Musicians, Great Music, Music Videos, Musicians & Artists, Podcasts, Solfest's Drystone Stage by Alan Whittaker. Bookmark the permalink.